Swiss company says it can offer 1,000-kilometre electric driving range within three to five years. A Swiss technology company says it can solve one of the biggest problems preventing the development of electric cars - range anxiety. The company, Innolith AG, is developing a vehicle battery that it says will provide an electric driving range of 1,000 kilometres. The company says the technology will be available commercially within three to five years. If successful, the project will enable car manufacturers to break the range anxiety barrier that has prevented many people from buying electric cars, because of fears that they may become stranded in the middle or near the end of a journey. It is perhaps the most significant factor in holding back the growth of electric car ownership in many countries, after a lack of an easily accessible charging infrastructure. 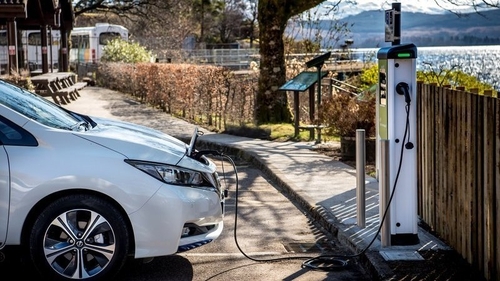 Many car industry figures regard a single-charge range of between 700 and 800 kilometres as the holy grail for electric motoring and believe consumers will not fully embrace EV’s until that goal has been achieved. Innolith specialises in inorganic battery technology and it says its new battery will be the world’s first 1,000Wh/kg (watt-hour per kilogram) rechargeable battery. It also says the battery will be cheaper to manufacture because it does not involve the use of organic materials, which are expensive and a cause of controversy in many countries where they are mined. Amnesty International has already highlighted abuses of workers’ rights in some African countries. Another advantage is that, while traditional electric car batteries use a flammable organic electrolyte, the Innolith battery will utilise a non-flammable inorganic electrolyte, therefore reducing the risk of the vehicle catching fire. Innolith says it will initially launch the battery to through a pilot production scheme in Germany, after which licensing arrangements will be made with vehicle manufacturers and other battery companies. The company says the charging time required for a car fitted with its new batteries to reach a range of 400 kilometres will be the same as that of an electric car with a conventional battery, but the firm anticipates a full recharge to the higher range of 1,000 kilometres will require the vehicle to be left plugged in overnight.